Rules Fill each row and column with numbers from 1 through 5 as well as a single diagonal mirror. Clues act as regular skyscraper clues, but follow the mirrors. This entry was posted in Puzzles and tagged skyscrapers, skyscrapers with mirrors, variant on 2018-11-14 by rob. While I’m writing up some notes on the recent WPC (team gold yay! ), here’s a practice puzzle I made, for the skyscrapers round. It’s quite a neat variant, called “first invisible”. You can solve online (but be warned that the solution isn’t checked correctly). Rules Fill the grid like a usual skyscrapers puzzle. However, instead of counting visible buildings, clues indicate the first non-visible building from that side. 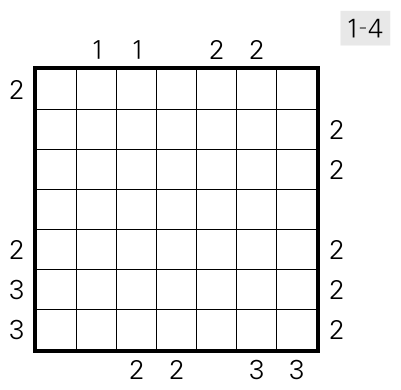 This entry was posted in Puzzles and tagged skyscrapers, skyscrapers first invisible, variant on 2018-11-14 by rob. 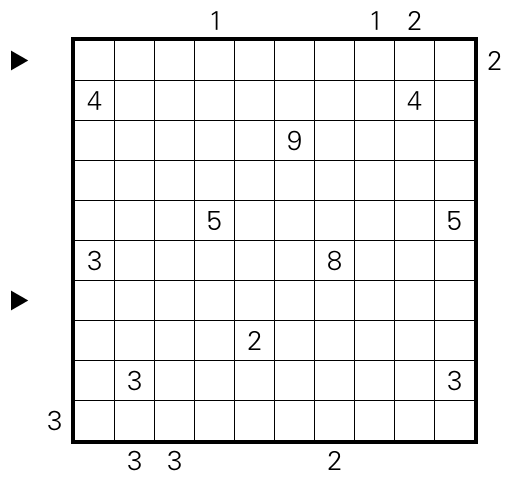 We continue with the regular puzzle-a-month-on-the-first-of. 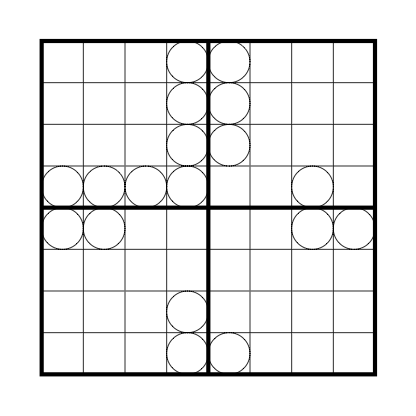 Here’s a Skyscraper-Nurikabe, a practice puzzle for the upcoming Indian GP. 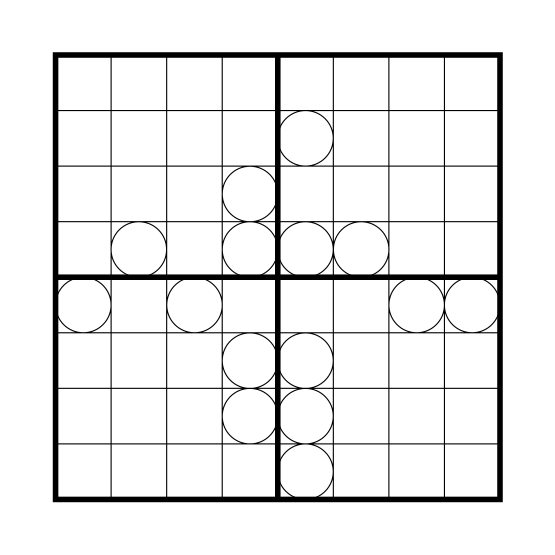 Rules Solve as a regular Nurikabe. Additionally, some skyscraper clues are given outside the grid. For these, consider the blocks of adjacent shaded cells within the corresponding row as skyscrapers with height equal to the number of cells in the block. Or check the instruction booklet which includes an example. You can solve online (of sorts) and check your code here. This entry was posted in Puzzles and tagged hybrid, medium, nurikabe, practice, skyscrapers on 2018-04-01 by rob. The WPC 2017 in Bengaluru is over. 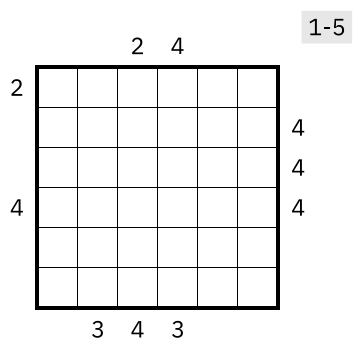 Here’s a puzzle from my very thin set of preparation puzzles. It’s from a round with original types that applied the same set of rules “twice over” in a sense. 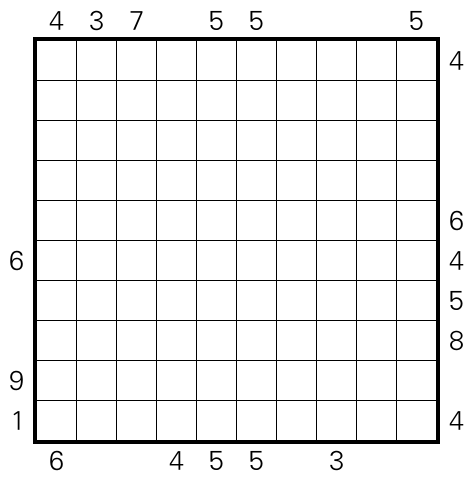 Rules Solve the grid as a regular skyscrapers puzzle, digits 1 through 5. In addition, small clues in the outer corners are skyscraper clues for the regular skyscraper clues along the outside. 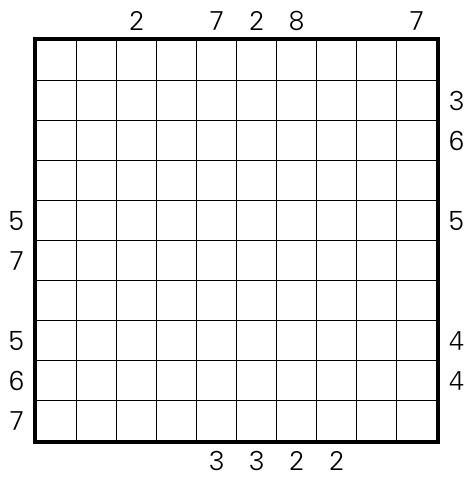 These 20 regular syscrapers clues are part of the solution. 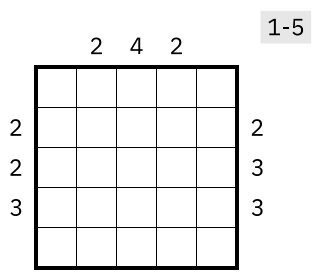 For example, the regular skyscraper clues along the left side could be something like 1,3,5,2,2 to satisfy the second-level 3 clue in the top left corner. Or see the rules of Round 20: Puzzle Fusion in the WPC instruction booklet, available at the WPC page. You can find an example there, too. You can check your solution and solve online here. This entry was posted in Puzzles and tagged hard, skyscrapers, skyscrapers squared, variant on 2017-10-28 by rob.